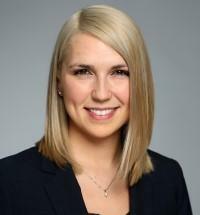 Marcia F. Przeslawski is a second-year associate at Landsman Law Firm LLC. Marcia was a law clerk for nearly two years under founding attorney Laurence M. Landsman before joining Landsman Law Firm LLC full-time. She is a member of the Illinois State Bar and of the Federal Bar for the United States District Court for the Northern District of Illinois. Marcia Przeslawski is a talented litigator who represents clients in commercial and securities disputes representing individuals, business owners, investors and financial advisors in State and Federal court as well as cases filed with the Financial Industry Regulatory Authority (Formerly National Association of Security Dealers). Marcia graduated from the John Marshall Law School (JMLS) in 2017. In her spare time, she volunteers by coaching high school mock trial through the organization, Chicago Coalition For Law-Related Education (CCLRE). Marcia also volunteers by coaching teams for the 1L mock trial competitions at JMLS, and JMLS’s Alternative Dispute Resolution (ADR) team that competes in nationally recognized competitions each year. During her time at law school, Marcia was a member of the John Marshall ADR Team that competed at the 2016 St. Johns Securities Dispute Resolution competition held at St. Johns Law School in New York, New York. During the competition, she competed in three rounds, (1) a mock settlement negotiation, (2) a mock mediation, and (3) a mock arbitration. All rounds were observed and judged by FINRA arbitrators and mediators. Marcia also competed at the Northwestern Law Meets competition in Spring of 2017 at Northwestern School of Law in Chicago, Illinois. During the competition, she competed in two rounds of mock negotiations of a purchase and sales agreement, representing the purchaser’s interest in the deal. Marcia was President of the Corporate Law Club at JMLS from Fall 2015 thru Spring 2017 when she graduated. She and three friends established a board and grew the club’s membership from four to over twenty students in its first semester. By hosting regular social events, annual panel discussions, and networking events, Marcia’s leadership revitalized the JMLS students’ involvement and interest in the Corporate Law Club. Furthermore, Marcia volunteered second and third year of law school to be a supervising teaching assistant and then a managing teaching assistant for Contracts I taught by Vice Dean for Academic Affairs Julie M. Spanbauer. Although always keeping busy, Marcia’s academic achievements during law school landed her a spot on the Dean’s list five consecutive semesters in a row. Marcia studied under supervising attorneys with many of John Marshall Law School’s legal clinics. She worked with the John Marshall Law School’s Fair Housing Clinic in 2015, The Business Enterprise Law Clinic in 2016, and the Pro-bono Clinic, Foreclosure Section in 2017. Marcia graduated from the University of Michigan in 2011 with a Bachelors in Fine Art focusing on digital art before deciding to pursue her passion for law.